So we arrived in South Africa about 20 minutes after leaving home. That was the border. It would take another 3 hours or so to reach our destination of Johannesburg. Driving across South Africa (except when entering into the villages) was reminiscent of driving across parts of the eastern United States or the hill country of Texas. It all looked so familiar. The one glaring difference was that everyone including us, was driving on the wrong side of the road! Just kidding. In southern Africa, as in Great Britain, we drive on the left side of the road. Since we brought our American standard vehicle, that placed the driver in the position of not being able to easily see how to pass on the right. Small annoyances. But not something that cannot be overcome. We are on a journey! We arrived at our destination (aided by GPS) in due time. 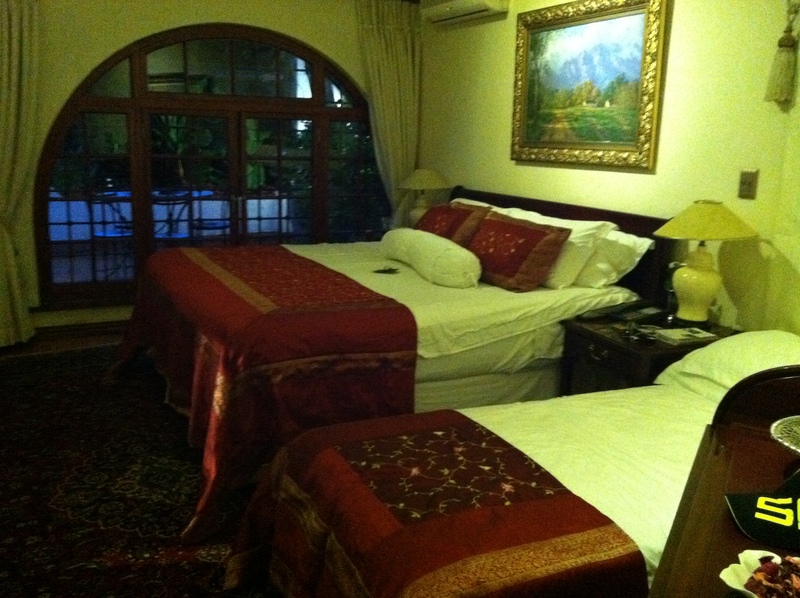 A friend had given me two suggestions on places to lodge that adhered to my requirements that the accommodations be safe, nice, and accessible to shopping and restaurants. 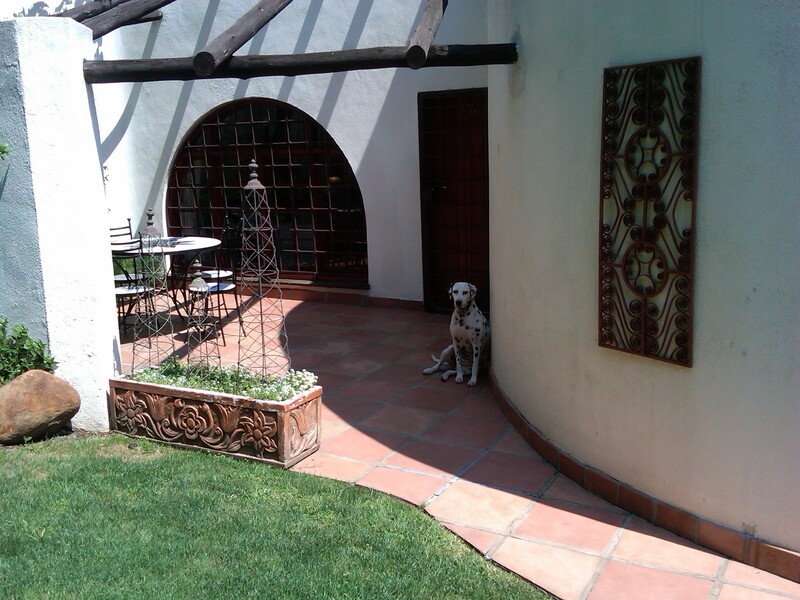 Both were Bed & Breakfasts. The first had no open reservations for accommodations. The second, The Oasis was the only place her very “picky” friend would stay. That sounded good to me, they had availability and there we lodged. The Oasis lived up to its name! 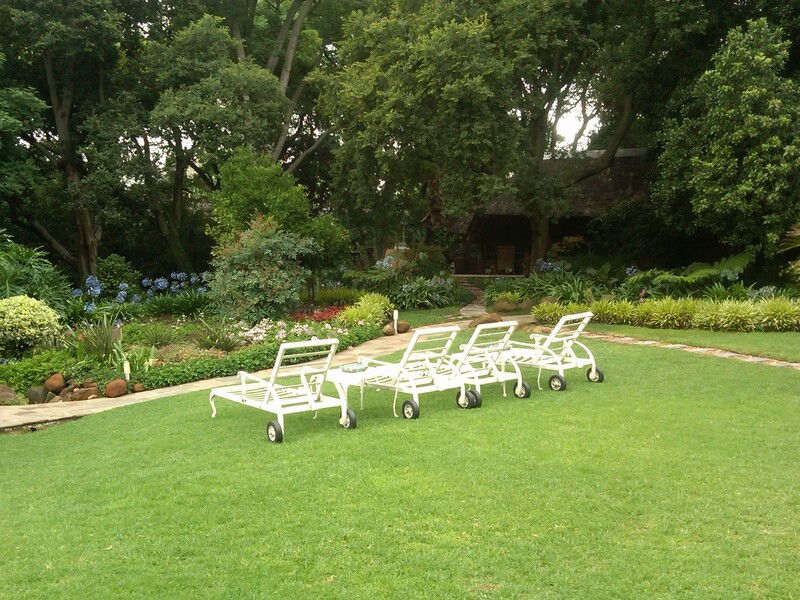 It was in the middle of the community of Sandton, just outside of Johannesburg, SA. It was in the word of our eleven-year-old charge, “exquisite”. After getting settled in our room we walked around the grounds and then took a quick drive to explore our surroundings. We were hungry but could not decide what kind of food we wanted. We ended up agreeing on a place I shun in the States. It was at least a little bit of home that I had not encountered in almost four months. 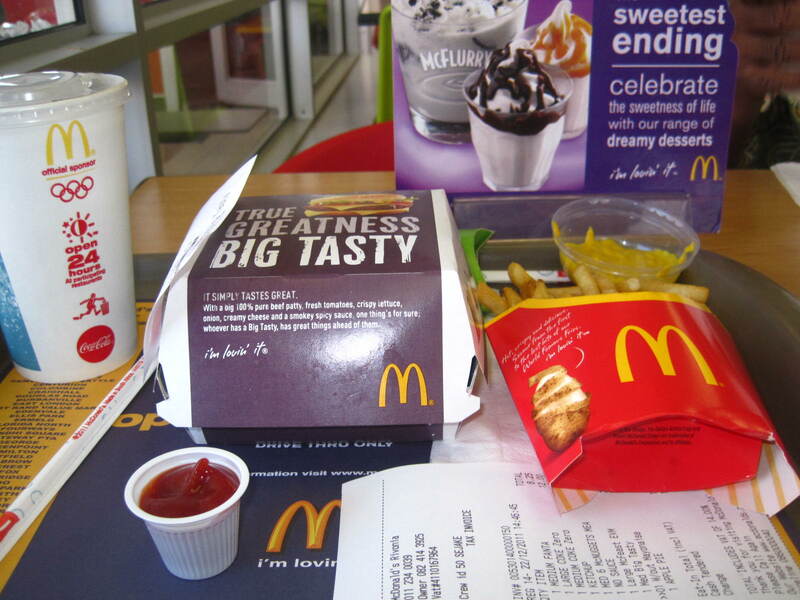 We had lunch at McDonald’s! 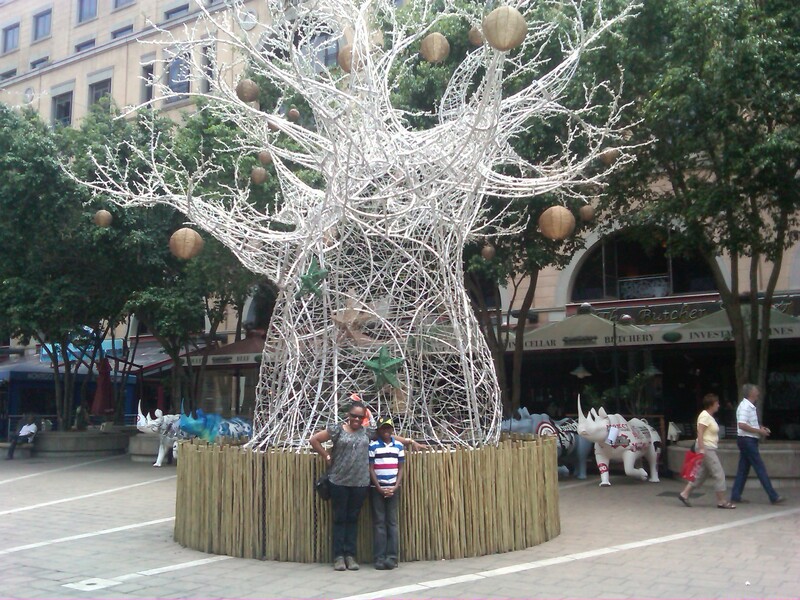 we trekked into Johannesburg, which had an other worldly feel; We also made it to the Rosebank and African Craft Malls. By far, the visit to Johannesburg was the most immediately affecting. 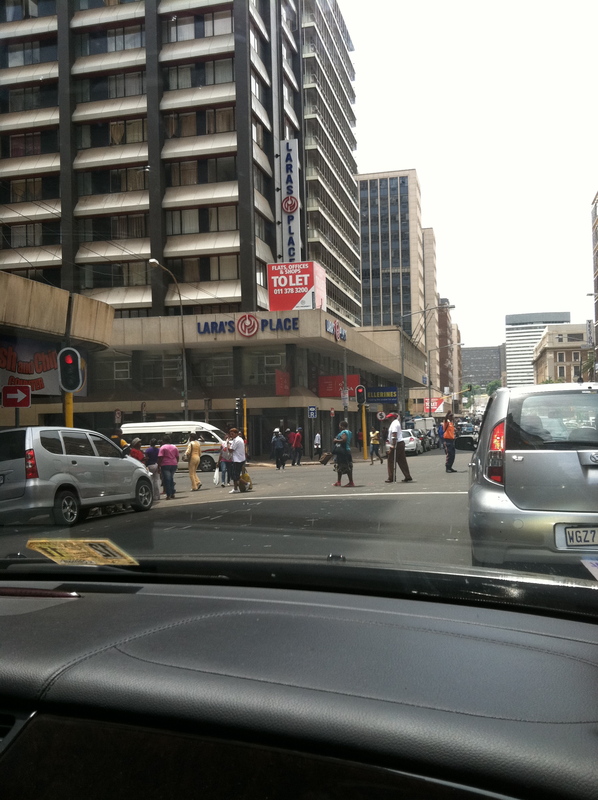 Johannesburg was bustling and busting with activity and people. LOTS of people. LOTS of vehicles. And a LOT of disregard for traffic signals and right of way. Buildings that apparently were once center-pieces of the city have fallen into disrepair, so that many look as though they are relics of a war-zone. I suppose, in some sense of the term, they are. I marveled at how dingy the middle of town looked, how sad and despairing. However, I should have not been too surprised since most of the businesses that once supported this infrastructure, including the stock exchange, had moved to Sandton (Mention Sandton and the almost immediate response is, “Oh, that is the rich part of Johannesburg.” Historically it is the locale of “white Flight after the dismantling of apartheid. Sandton has been dubbed, Africa’s richest square mile.”) The financial hub was gone and it was as though the city moved without telling all of its residents. As we meandered carefully through the streets of the former Central Business District of Johannesburg, in search of our exit to return to the Oasis, I found that I was in possession of conflicting emotions. I was happy to be in a place with SO many people who looked like me (no offense to my minimally melanin imbued friends – I saw exactly two white people); and, I was disheartened to see so many people who looked like me living in conditions like these (and I had not even visited a former township!). The next morning at breakfast I met a couple on their way to Madagascar. Unfortunately, the day before their car was stolen from the Sandton Mall parking garage! They had been in the mall about the same time we were and for not as long of a period of time. They had excellent attitudes about it. Although they were most unhappy about the iPod that was in the car. It had over 8000 songs. I was disenchanted with the disarray of the Johannesburg – the unkempt buildings falling into disrepair – but happy to have been there. We did not make it to Union Square, Carlton Center, Johannesburg Art Gallery, Johannesburg Zoo, the Lion Park, or Soweto on this trip. I must go to, I insist upon going to Soweto! This was our first visit to any part of South Africa. It is a given that we will travel to Durban and Cape Town also. There is so much to experience here in the southern region of Africa. Namibia, Zimbabwe, Mozambique, Swaziland, to name just a few places. I am still so happy to be here and look forward to sharing so much more in the new year on my African journey! Happy New and happy to see your enjoying your journey. McDonald’s? Hope you’re trying other food there!